It’s that time again where Ted Michalos and I do our annual year-in-review podcast and predictions for the New Year. 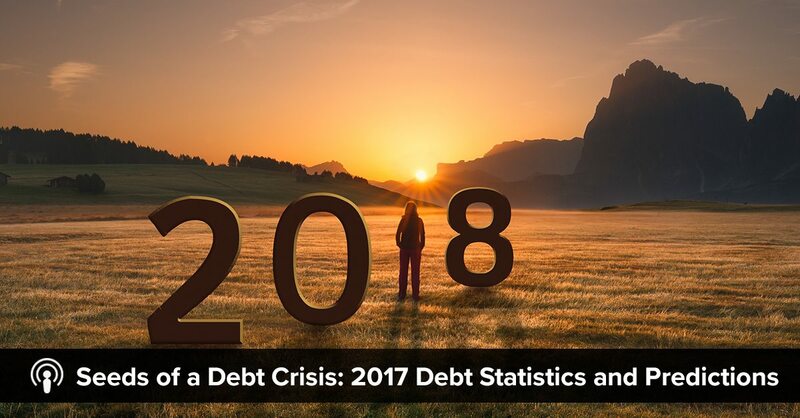 We’ve been predicting that high consumer debt will lead to more debt problems for Canadians, the economy and increased bankruptcies for the past couple of years. Despite a delay in the inevitable due in large part to low interest rates, sustained, albeit low quality, employment levels, and rising house prices in Canada, the seeds of a debt crisis have been planted. Last year, Ted predicted that interest rates would climb, cooling off the markets a little and he was right. There’s no doubt that interest rates went up this year. Whether that was the reason that markets cooled off a bit is open to discussion. Although in many cities in Ontario, house prices peaked around May 1 and have been softer since. As for consumer insolvencies in Ontario, it’s the 8th year in a row now that they’ve been on the decline. This is one area in which Ted and I haven’t been right for Ontario. Even though Canadians are carrying record debt levels at $1.71 for every dollar earned. But since the interest rates are still low despite recent increases, and house prices have been high, people have been able to refinance their debt and afford the monthly payments. We’ve been sitting at rates of less than 3% for years now and normal is closer to 5% or 6% so that’s going to be a pretty big shock for people, if it reaches this level by the end of 2018. So, it would appear that the seeds of a financial crisis have been planted. Minimum wage going up in Ontario from $11.60 to $14.00, effective January 1st. This means any employer that is already marginal or has very tight margins is probably going to employ fewer people. Debt. According to the Canadian Payroll Association’s September 2017 survey, 49% of Ontarians are living paycheque to paycheque and 43% save less than 5% of their earnings. Canadians are also the most indebted in the world by at least one measure, as household debt is more than our GDP. Real estate value and mortgage interest rates. The Bank of Canada predicts that 47% of Canadian real estate mortgages will renew in 2018 and a lot of people are going to be facing an increase because rates are higher than they were a year ago. For more insight and detailed breakdown of our predictions for 2018, tune into our podcast. Doug H: It’s time once again for our year end review and New Year’s prediction show. Today I’m going to explain why I think 2017 was the most important year in your life when it comes to your perception of money. But before I do that and before we make our predictions for 2018 let’s take a short look back at 2017. There’s no point in making predictions for 2018 if we didn’t get our predictions right for 2017 so let’s start with a quick review of the predictions we made on show number 122, which aired on December 31st, 2016. To do that let me welcome back to the show Ted Michalos, my Hoyes Michalos co-founder and business partner. Ted, welcome back, are you ready to pull out your crystal ball and tell us what’s going to happen in 2018? Ted M: Looking forward to it. Doug H: Excellent. Well, the big topic in 2017 was real estate, 2016 was a record year for real estate prices so at the end of 2016 I asked Ted for his thoughts on real estate in 2017. And let me play a clip from that show. Here’s what Ted had to say back in December 2016. Ted M: So it’s hard to predict we’re not real estate experts, but I see interest rates climbing to cool off the market a little bit. The government changed mortgage rules so that should cool off the market a little bit. But there’s only so much real estate property available for sale. Toronto is still setting record levels month after month after month. Vancouver’s down, here in Ontario things are still up. Doug H: So, there you go Ted predicted that interest rates would climb and that would cool off the real estate market. There’s no doubt interest rates did increase. The Bank of Canada raised interest rates a quarter of a point each in July and September of 2017. Now whether or not it was the increase in interest rates that cooled off the real estate market is open to debate but there’s no doubt that in many cities in Ontario, including Toronto, prices peaked around May 1st and have been softer since so I would say that was an accurate prediction. So, well done Ted, you were right on that one. Ted M: Thank you very much. 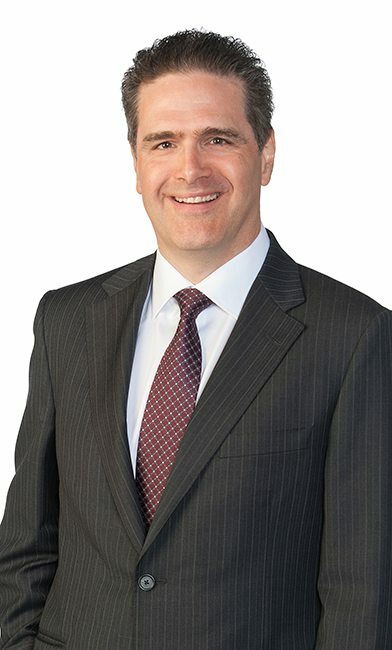 Doug H: Now a year ago we also talked about the insolvency rate, because obviously that’s what we do at Hoyes Michalos, we help people file for personal bankruptcy or consumer proposal. So last year I asked you with debt levels continuing to increase, what do you expect for insolvency rates in 2017 and I’m going to play the clip. Here was your answer from a year ago. Ted M: Well, the saving grace for everyone has been that interest rates have been at historic lows and again, I think that we’ve seen all the signs now that they’re starting to increase and it won’t take very big increases to cause dramatic impacts. So, overall what happens in the oil patch will make a big difference to insolvency rates across the country, in Alberta and Newfoundland. I think they’re going to go up in Ontario. It may only be moderate but I expect it to be 3 to 5%. So we’re going to look at 125,000, 130,000 people next year becoming insolvent. Doug H: So we are recording this in December 2017 so we obviously don’t have full, a full year of stats yet, but if you look at the numbers to the end of September, which is the most current data we’ve got from the government at the time we’re recording this, the personal insolvency rate in the third quarter of 2017, so that’s the three months ending September 2017, is up 1.2% in Alberta, 4.8% in Saskatchewan and it is down half a percent in Newfoundland and Labrador. Now obviously that’s one quarter, not the entire year, and based on discussions I’ve had with my fellow licensed insolvency trustees in Alberta and Newfoundland I expect those numbers will continue to increase. So, I think Ted your predictions for increased insolvency numbers in the oil provinces will be proven to be correct. If you look at Canada for the 12 month end of September 30th, total consumer insolvencies are just over $122,000. So your Canada wide prediction of $125 to $130,000 for the calendar year is looking pretty good. So, I’d say you’re two for two on the oil provinces and for Canada as a whole. Now, in Ontario you and I both predicted rising insolvency rates and so far we’ve been totally wrong. Doug H: Which is strange because Canadians are carrying record levels of debts, Stats Canada data shows that the total household debt in Canada has reached 2.08 trillion dollars. That’s a big number. Ted M: That’s just my wife’s credit card. Doug H: Oh. And according to a recent Manulife Bank Survey, one in 10 homeowners are not sure who their mortgage provider is. Think about that for a minute. In the same survey more than half of Canadians said they have good knowledge of debt management yet debt to income levels have reached an all time high of $1.68 for every dollar earned. So, we have record levels of debt, which is why you predicted that insolvency rates would rise in Ontario moderately, perhaps 3 to 5%. But in the third quarter of 2017, they’re actually down 3% and for the first nine months of the year insolvency rates in Ontario are down just over 4%. So, what gives? Debt levels are still up and insolvency rates in Ontario are down, Ted, tell me why? Ted M: Well, if you still look at it we’ve got this double whammy of low interest rates and believe it or not money still is relatively inexpensive, interest rates are very low. And even though they haven’t been increasing, real estate prices are still very, very high. So, for example a few years ago the number of our clients who had homes that were filing bankruptcy and proposals, the ratio was one out of three. The ratio now is one out of every six isn’t it? Doug H: Yeah and we’re going to talk about that as we go on. So you’re absolutely right, I mean we got record levels of debt and yet consumer insolvencies in Ontario have fallen for seven years and you’re right, it’s low interest rates and high real estate that have been a big contributing factor to that. Ted M: Yeah they can afford the monthly payments and they can afford to refinance their house if they need to to take access equity. Doug H: And as a result, you know, employment is strong too so if you’ve got a job then that also helps. So, okay so let’s look forward now to 2018. A report by The Parliamentary Budget Officer, which is basically the Canadian government’s watchdog over Canada’s financial health, is predicting that interest rates will rise to more normal levels in the next five years. I guess you and I aren’t economists we don’t have any opinion on that. Is that likely or what? Ted M: Well, what we need to understand is what’s a normal level? So we’ve been sitting down at the bank rate’s been less than 3% for years now. Normal is closer to 5 or 6 so that’s going to be a pretty big shock for people. Doug H: Yeah, so if we had to guess we would assume that okay, I guess what we saw in 2017 will continue in 2018 but I mean we don’t know for sure. Doug H: But when you combine higher interest rates combined with the fact that we’re carrying much higher debt levels, that means our debt service ratio, that’s what you’re just talking about, will be reaching record levels. Ted M: So, it’s going to cost you more every month to carry that record level of debt. Doug H: So, it would appear that the seeds of a financial crisis have been planted. Ted M: I’ve heard that term before. Doug H: There’s the title for this show. And now those seeds are being watered in. So what will happen in 2018 that could water in the seeds of a financial crisis? Well, I think there’s three big things to watch. So, can you give me your comments on each of these things? So, item number one, in Ontario the minimum wage is going up. So how much is it going up and what do you think the impact of that is going to be? Ted M: So it’s going from $11.60 to $14.00 per hour effective January 1st, just a few short hours from when people are listening to this program. The first impact is going to be that any employer that is already marginal or have very tight margins is probably going to employ fewer people. Like if the total dollars you have available to spend on payroll are the same and you’ve got to pay each person the same money, you’re going to pay fewer people that more money. Doug H: Yeah, you’re either going to have fewer people or each person is going to work fewer hours. Ted M: That’s right. And the folks we see often times now, these are folks that don’t have houses that are in these minimum wage jobs, they can’t afford to have their hours cut or eliminated altogether, they’re already on the edge. Ted M: You’re going to think that’s a negative impact. Doug H: That’s going to be negative for you. And that makes it harder to service your debt so that’s putting some upward pressure on insolvency rates. So, now item number two, we already mentioned, it, debt. So give us some more numbers to flesh out how bad the situation really is. Ted M: Alright so in a recent survey The Canadian Payroll Association revealed that 49% of Ontarians, so the people living in Ontario, are living paycheque to paycheque. And 43% of Ontarians save less than 5% of their earnings. Doug H: So, that’s pretty scary. And how do we compare to the rest of the world? Ted M: So, Canadians are the most indebted in the world by at least one measure. Household debt is now more than our GDP. We owe more money than we can possibly make in the entire economy ever year. Doug H: And I guess that’s kind of – okay, that’s a made up statistic ’cause it’s not like we’re paying off the whole GDP every year or anything like that. Ted M: Any time these numbers get so large that people can’t get their head around them, it gets difficult to understand. But you know what your paycheque is and so right now the average Canadian is carrying 168% of their annual income in debt. Doug H: Yeah and I don’t look so much at the absolute numbers as the trend and the trend is up. Ted M: Yes and it’s always been up. It’s not raising quickly but every quarter they publish this number and it’s up another penny. So, it doesn’t take long to get high. Doug H: So, it’s obviously a problem. Okay, so item number three, and again, we’ve touched on this already and I think it’s going to be the big one and that’s real estate value and mortgage interest rates. So, mortgage resets and the new mortgage rules I think are going to be the two factors that we see. So, flesh that out for us Ted, what are we talking about? Ted M: One of the things that’s scaring us is that The Bank of Canada predicts that 47% of Canadian real estate mortgages will renew next year. That’s half the market. That’s a lot of people facing an increase because we know already that interest rates are higher now than they were a year ago and we’re predicting that they’re going to be higher than they are now. So Vancouver and Toronto, a 1% increase in mortgage rates would be almost a 10% increase in the amount of money that you’ve got to spend on your mortgage payments every month. Doug H: Yeah and I want to – we’ll talk a bit about that, actually throw some numbers about there. So, plus we got the new mortgage numbers coming in. Ted M: Which is – it’s confusing people and it was designed to cool off the market and that’ll have an impact on how much debt people have to service. Doug H: And we’ve talked about it before but in real simple terms, if you are going for a mortgage, even if you have more than a 20% down payment, in other words you don’t need mortgage insurance you’re still going to have to qualify as if the interest rate were higher than 2% higher than what you’re paying. Doug H: And I’m over simplifying that. Ted M: The whole idea is you have to now qualify for a mortgage at a higher rate than you’re currently paying in case there’s a fluctuation in the market. Doug H: Right, so okay I’m getting a mortgage at 3 and half percent but I’ve got to qualify at 5 or 5 and a half or whatever and that’s going to make it more difficult to qualify. Ted M: Whatever the five year closing rate is. And yes, it’s designed specifically to make it more difficult to qualify. Doug H: Well, so let’s explain it with some numbers then. So, let’s say today I can get a one year fixed mortgage for 3.29%. I just didn’t pick that out of the air I went on one of those websites and looked. So, on a $500,000 mortgage I’m paying $2,441 a month, which would be on a 25 year amortization. Now we know, you just said it, about half of Canadian mortgages are going to renew next year. So what happens if next year mortgages are 4.29%. Well, I don’t know if they’re going to go up a full point but just to do the math here. Rates increased half a point in the last six months so I guess it’s not impossible that we could have a few more of those increases next year. Ted M: And I think it’s likely actually. Doug H: So, we’ll find out. I’ll play that clip next year, Ted says it’s likely that interest rates will continue to increase. So, I’m paying $2,441 a month now so what would I be paying if the rates go up by what they call 100 basis points? Ted M: Using that same mortgage calculator, your mortgage payment would go to $2,709 per month on that half a million dollars per month. Doug H: Well that doesn’t seem like that big an increase. Ted M: That’s $268 per month or 11%. Did your pay go up by 11%? Doug H: Well, there’s the point so I guess right? Ted M: Right. Suddenly you’ve got to find $268 a month to spend on your mortgage that you didn’t have to spend last month. Doug H: Which is not easy for most people if you’re pay isn’t going up 10% a year. So, okay so house prices, you know, have been on the rise. Doug H: So, I mean we know that the average price of a home on Ontario is now over half a million dollars and in the GTA we’re up into the million dollar range. Ted M: That’s always been the selling point, right? Your house is going to go up so grab as much mortgage as you can afford. Doug H: So, what then is the risk of – and people have been using their house equity to refinance, what happens when it’s not there. Ted M: Well, I mean so you’ve got a reasonable rate, a really low rate on your mortgage right now and so you use the equity in your home to pay off all your high interest debt, your credit cards, your lines of credit, whatever. So, you’ve got a manageable payment. But your house doesn’t go up anymore but you’re re-spent on all those credit cards, those lines of credit. You’ve got to figure out where is this money going to come from. There’s always a risk that the bubble will burst and your price will adjust by 5 to 10%. Anything that goes up quickly, can come down quickly. And then there’s also the risk of what if you need to sell fast, you know you’re going to get less money anyway. Ted M: One out of three. Doug H: One out of three and so the last number we did was for the month of November and the index was -? Doug H: So, under 8%, which is not the lowest it’s ever been, we got down into the 6% range a couple of months ago, but it’s historically very, very low. Ted M: It’s one out of 12. Doug H: And in other words if you own a house you’re probably not going bankrupt or doing a consumer proposal because you’ve had so much equity to do it. Ted M: You’ve got the opportunity at this point to still refinance and afford the payments to deal with the debt. Doug H: So, before we get to predictions here’s a few more facts. And again you kind of alluded to these sorts of things already. Again, 37% of Canadians don’t have a steady paycheque. Doug H: And why is that, they’re working part-time jobs and that sort of thing? Ted M: The whole nature of the workforce has changed. I mean if you think of the millennials and the young folks entering the workforce, they don’t know that they’re ever going to have a permanent career with a company. Whereas I think back to my parents and grandparents, my grandfather worked for the same tool and die shop for his entire life. Doug H: Yeah, lifetime jobs just aren’t a thing anymore, it just doesn’t happen. Ted M: Right. The young kids, they’ve got two or three jobs, it’s just the way the economy works. It’s what they can find to pay the bills. Ted M: We’re not old people yet, I keep telling you that. Doug H: We’re not old, we’re not old, we’re not old. But yeah if you can’t find one permanent job then you work two or three part-time jobs and it’s not easy. Ted M: Right. Think about to the start of the show, well the minimum wage rises at the beginning of next month, one of those jobs could disappear. That’s another program. Doug H: Yeah and well, that’s why we’re saying these are risks going forward. So, one thing we haven’t touched on, we talked about real estate tell me about are loans, where are we at with that? ‘Causes I think that’s another bubble there too. Ted M: Yeah car loans, some of this stuff is driving me crazy. So they’re up one and a half percent, which isn’t a huge amount, but the average car loan is now over $20,000. And the delinquency rate on cars it’s rising. Bigger problem is people are borrowing for longer periods of time. More than half of all the new car loans are for 84 months or longer. Doug H: Okay, 84 months, how long is that? Doug H: Seven years. And so eight year car loans are now common. Doug H: And how many people keep the car for the full eight years? Ted M: Well, almost nobody does. After the third of fourth year they trade it in and when there’s a shortfall, and there will be, they add it to the next loan. And so now you’re paying interest on the shortfall for the car that you didn’t pay the last time. Doug H: So we’ve got this bubble forming in car loans. I mean we could talk about installment loans too, I mean they’re up $5 as well and that’s just normal debt. Ted M: Yeah credit cards are up too. Doug H: So, okay so everything is up. So we’ve kind of set the stage for what 2018 looks like. So okay let’s get into predictions then. Consumer debt levels well, I guess you already predicted that yep, they’re just going to keep up. Ted M: It’s pretty safe. So we’re telling you now the last public figure was 168 for every dollar of disposable income. I wouldn’t be surprised if by the end of 2018 they’re $1.70. Doug H: Yep. So there you go. There’s a hard number and, you know, you draw it on a graph that’s almost inevitable. Ted M: And it should scare the hell out of you people. Doug H: It ain’t pretty. Well okay so what about the big question, real estate, mortgage rates, you already said you think mortgage rates are going to go up. Ted M: Well, yes I think mortgage rates are going to go up and between that and the new mortgage rules that’s going to have a cooling off effect on real estate values. I get that they’re not making any more land but a house is only worth so much and there’s has to be somebody able to buy your house when you’re ready to sell it. Doug H: Yeah and if I’m using more of my income to service my debt, and if I can’t qualify for as big a mortgage and interest rates are going up then that’s just got to continue to put pressure on real estate. Ted M: It’s got to. Doug H: And so I assume you expect car loans to keep going up too. Ted M: I think that we’re going to be into another market because of the other things that are happening. That we’ll see more of these deals, zero and low interest car loans. And you’ve got to recognize folks that when a company does that, the cost of borrowing is built into the cost of the car. You’re not actually getting a deal, it’s just the way they’re marketing it to you. People are going to finance more and more of their cars. Doug H: Yeah ask what it would be if you paid cash for it and then you could see. Doug H: And then final prediction then, consumer insolvency rates. Ted M: Yeah and we were right about Ontario, wrong about Canada. I’m fairly confident that we’re going to be right about Ontario in 18 and that the rates are going to go up. Ted M: It’s an unfortunate but safe bet. Doug H: Yeah but again, it hasn’t happened for seven years so it’s actually a more radical prediction than it sounds like. So, we’ll come back in a year and see. I mean I agree with you on all those points, I think debt levels are going to continue to increase, softer real estate market, higher debt services costs. And I think as a result yes, insolvency rates will rise. So, as I say we’ll talk about that next year and see how close we were. Now at the start of the show I said that I thought that 2017 was the most important year in your life when it comes to your perception of money. Now I know that’s kind of a crazy statement because this might not have been the year that you bought a house or got a new job. So without knowing anything about you, why do I think that 2017 was the most important year in your life? Well, it’s because I believe that 2017 was the year that your view of reality changed. Now, let me explain. So Ted, I want you to kind of play along with me here. Doug H: We’re going to do a little role playing, we’re going to do a little play for the audience here. So, what I want you to do is I want you to play the part of an average Canadian. Now I know you’re Ted Michalos, I know you’re not an average Canadian, but I want you to play the part of an average Canadian. So, here we go. So, let’s pretend it’s the year 2016. Doug H: It’s a year ago. So my question to you Ted Michalos, average Canadian, have you ever heard of Equifax? Ted M: I think so. Doug H: Okay so what do they do? Ted M: Lots of stuff, they sell credit reports and they keep track of my credit score, right? Doug H: Okay. So you could go to Equifax and buy your credit score. Ted M: In fact I think they can give it to me free if I’m willing to do the paperwork and wait for it. Doug H: Not your credit score. Ted M: Oh you’re right, that’s right. Ted M: 20 bucks or something. Doug H: 20 bucks or whatever. Okay so you can buy your credit report and your credit score from Equifax so that makes you a customer of Equifax, right? Ted M: Sure that make sense. I’m buying something from them, that makes me a customer. Doug H: That’s a customer. So there you go, Ted Michalos, average Canadian, describing his view of reality in 2016. His view of reality was that he was a customer of Equifax. So now Ted, is the end of 2017, you’re still Ted Michalos, average Canadian, tell me what you know happened to Equifax in 2017. Ted M: I’m pretty sure they were hacked and most of my data was spread around the world. Doug H: Bad stuff happened. Bad stuff happened. So, do you trust Equifax? Ted M: No, not one scintilla. Doug H: And neither does anyone else. So now we get to the key question. You don’t trust Equifax because they had this big data breach and it would appear they didn’t do enough to prevent it. Well, obviously they didn’t because it happened. So, you like all other Canadians have thought a lot about Equifax this year. Last year you perceived that you were a customer of theirs if you bought your credit score from them. Doug H: So what’s your perception today? Who is Equifax’ customer? Ted M: So, I figured out this year that I’m not their customer anymore. I’m what they’re selling. I’m Equifax’ product. Ted M: I’m the average Canadian. Doug H: That’s right, absolutely. Ted M: We’re role playing here. Doug H: So – but I think t hat’s kind of typical of what everyone else would say too. Doug H: Being a customer is a totally different reality than being a product. But now you realize that Equifax customers are the big banks that they sell your data too. Doug H: And I think that’s why Equifax wasn’t too worried about the security of your data because they don’t have to worry about upsetting you, it’s more is the bank upset? That’s their customer. I mean you talk to clients all the time what do you tell them, you know, when there’s an error on your credit report, you try to call Equifax. Ted M: Nobody has ever been happy with the whole credit reporting system. If you’ve got a mistake they’ve got to – you fill out a form, you’ve got a request and of course they’ll follow up on it but the company that made the mistake in the first place reports it wrong again, you’re back where you started. So there’s no customer service there, there never has been. Doug H: And that’s because you’re not really their customer. Ted M: And we’ve only just figured that out. 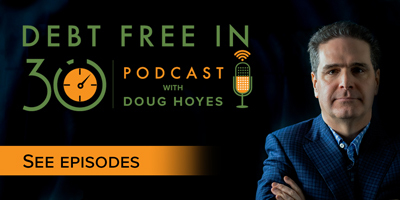 Doug H: If you were their primary customer then I guess we’d have to put a lot more resources into it and I’m going to do a show in 2018 on a totally new way to be assessing credit scores and credit risk and everything using the block chain but that’s all I’m going to tease on it for now. So, okay there have been other data hacks, there was one at Uber same deal, you know your perceptions of them have probably changed too. So a year ago you never worried about your data being secured but today, yeah. I mean I had a client come in to see me a few weeks ago and this is an older guy, he’s in his 60s. He didn’t have a fax machine, he asked me to fax a document to someone and I said yeah sure, no problem. But the he said to me I sure hope it’s secure. Now here’s a guy who a year ago wouldn’t have thought twice about security but now he’s worried about the security of a fax machine. Doug H: So again a totally different perception of reality. Now let me give you a better example ’cause I think there’s an even better example of this. So again Ted, let’s think back to your childhood, you know, when you were a kid you walked into a bank and who was the person you talked to? Doug H: Okay. And what was their job back then? Ted M: So they would be pleasant with me, they’d cash my cheque, they’d handle my deposit, give me cash, whatever I wanted to do. Doug H: So, now of course when you walk into the bank, if you can even find a branch that hasn’t been closed, you talk to a customer service representative and what’s their job? Ted M: They’re trying to sell me something, some kind of product that the bank’s got. Doug H: Exactly. So the CBC ran a big story earlier this year, we talked about it earlier on the show revealing that the customer service representative at the TD Bank was the one they were doing the story on, had sales quotas each month. They have a target, they have to sell a certain number of credit cards or loans or lines of credit to their customer. So that’s why when you go to the bank, you put your card in the little machine there and you punch in your pin and the bank person says oh Mr. Hoyes congratulations, you qualify for a credit card or whatever the deal is. Have you ever that had happen to you at the bank? Ted M: This happens to my wife all the time. So she’s pretty tight with her credit lines and the type ’cause she’s had problems with frauds on the internet. So she’s got a thousand dollar credit card for internet shopping and then her $10,000 for her other time shopping. And at least once a month when she is in the branch, oh, I see Mrs. Michalos that you’ve only got a limit of $10,000, would you like us to increase your limit for you or would you like us to extend your line of credit? You don’t seem to be using it. You could make purchases on that and save interest. That just drives her crazy and of course she tells it to me so it’ll drive me crazy. Doug H: And a year ago, two years ago, three years ago, it would have been like oh it’s nice that the bank’s looking out for me. But now it’s oh, okay I know what the deal is. Ted M: The evolution is interesting. If you think back three or four maybe five years ago every week in the mail you got three or four credit card applications. Now you get this personal touch when you’re in the bank. So the teller knows your net worth ’cause they’ve got your information on the screen, they know which products to try to sell you. It’s much more sophisticated. Ted M: Creepy, like Facebook. Doug H: That’s what I was thinking, Facebook knows everything about you and so does the bank. It is kind of creepy. So, my point is, you know, you used to walk into the bank thinking you were talking to Mary who was going to cash your cheque, now you know that you’re talking to a salesperson. I mean and it’s not like banks are the only places that do this. In some situations it’s obvious, if you go to the store you know that you’re talking to a salesperson. But now when you go to the bank you’re also talking to a salesperson. I mean when you have a problem with your cell phone and you call the cell phone company, you aren’t just talking to someone who’s going to solve your problem, you’re going to be talking to someone who is also going to try to sell you a new service plan or a new phone or whatever. I mean is your financial advisor an advisor or are they a salesperson? Well, if they make their money by selling mutual funds they’re a salesperson. And there’s nothing wrong with that, they’ve got to make their money somehow. I think now we’re all much more aware of the nature of that relationship. So, I mean I can give many more examples but I think you get my point. The events of 2017 have caused us to see reality differently and I think that’s a good thing. So Ted, what’s your perception of reality? Am I right here or what? Ted M: Well, the point you’re really making is that now we’re much more aware of how valuable our personal information and data is and that there are people out there behind the scenes making an awful lot of money off of it. And of course their chief concern is making that money not necessarily your safety, your security, what’s best for you. Doug H: And that’s why you have to follow the money. Ted M: Yeah and it’s the old rule, nobody’s going to look after your interests better than you. Never assume that anybody, bank, credit card company, cell phone, whoever are after your best interests. They might be pitching you something that will save you a little bit of money but overall it’s going to make them more money. It’s their interest, not yours. Doug H: Which is fine, I mean businesses are there to make money but you want to make sure that you’re looking out for your interest too. Make sure you understand how the money is flowing, who’s getting paid. So anything else from 2017 we got to talk about? Ted M: We haven’t touched the most important event of the year. We had the publication of Doug Hoyes’ book Straight Talk on Your Money, straight to the best sellers list. Doug H: Yes that was definitely the high point. Ted M: How can people get a copy of that book? Doug H: Oh at bookstores everywhere, Amazon, whatever. Well and one of the themes of that book was exactly that, reality. You know, you’ve got to – it isn’t always what you think it appears. So, we’re getting close to our 30 minute, I like to keep these shows to 30 minute, which is why we call them Debt Free in 30, so we’re going to close it there. I mean we didn’t get to the next obvious issue which is what should I do in 2018, like I have debts which ones should I pay first, should I renew my mortgage for a year or five years of whatever? So, Ted I’m going to ask you back next week for a quicker show to discuss your action plan for 2018, so Ted until next week thanks for being here. Ted M: Great see you then. Doug H: That’s our show for today. We covered a lot of ground and we’ve got about a dozen links to everything we discussed today so if you want to fact check us to make sure we weren’t giving you fake news please go to hoyes.com where we’ve got a full transcript of this show and links to everything we discussed. So until next week I’m Doug Hoyes that was Debt Free in 30.